Review | Where did they go, those superheros of the past? Where are those noble warriors that, dressed in flashy outfits, saved the world from injustice using their super powers? Luckily there's a new superhero on the horizon. Its mission is to transport you as economically and comfortably as possible to your destination. This new hero is called: Kia Picanto. A superhero is nothing without its looks. That is why Kia did everything possible not to make the Picanto look like a cute little car. Instead, the vehicle has a raised shoulder line and a front that looks as tough as a bulldog. The rear lights are placed vertically, to give this small car some greatness. The Picanto is available in a three and five-door version. The three-door has a more sporty front, a different boot lid and more exciting rims, making it look more dynamic. Despite the number of doors, the wheels are relatively small compared to the rest of the car. That may affect the looks a little, but the advantage is that it leaves more room in the cabin. Thanks to this, the space in the front is fine. Headroom is also exceptionally good! The seats aren't too small or to too close together, so this little car feels larger than it actually is. The room in the back is just sufficient for two adults, and that is quite an achievement for a car of this size. The boot is a bit larger than average (and 27% bigger than in the previous Picanto). The interior isn't playful or cute like many other compact cars. Instead the dashboard has the same layout as in any other Kia. The materials are of the same quality as well. Many details, like the layout of the dials and the shape of the grille that is mimicked in the steering wheel, also add to the mature feeling of the car. 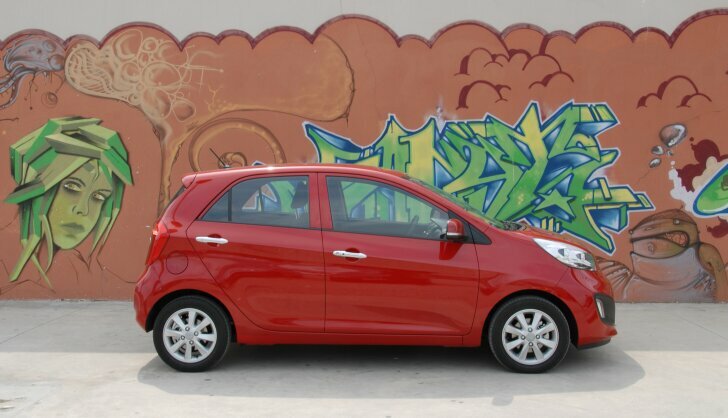 The Suzuki Alto and Nissan Pixo recently raised the bar for small cars, yet Picanto now moves it up another notch. For now, the Picanto is available with a choice of two engines. The 1.0 litre three-cylinder is expected to be the most popular of those. Once underway, it is not the engine, but the lack of engine noise that comes to the attention of the driver. The characteristic three-cylinder noise is absent. Noises from the tyres and wind are also minimal for a car like this. The 1.0 litre petrol engine is lively and eager. When expressed in cold numbers, the Picanto isn't a quick car at all. For example, the sprint from 0 to 62 mph takes 14.4 seconds. However, when pressing the throttle the engine responds immediately so the car doesn't feel slow. 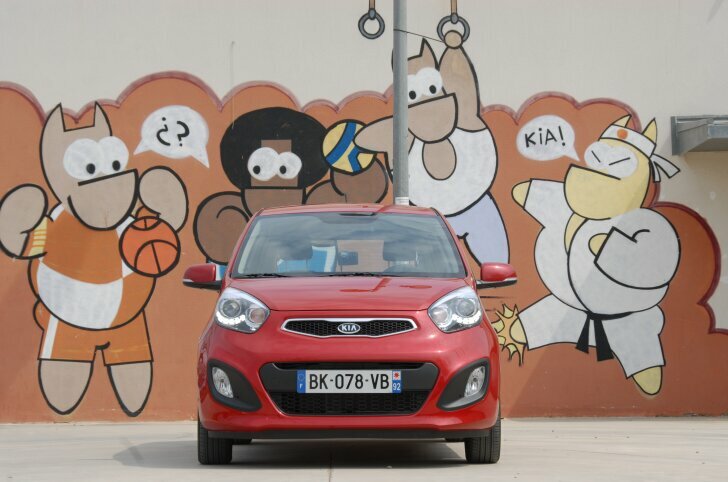 It is important to notice that the Picanto feels more at home in the city than on the highway. Just to keep up with traffic the little engine has to be revved constantly, making it hard to drive as economically as Kia promises. Instead of the 67 mpg the box says, the Picanto does about 51 miles per gallon in real life. As an alternative to the 1.0 litre engine, a 1.2 litre power train is available. This has four-cylinders making it operate even quieter. The 1.2 also performs with more ease, which adds to the comfort on longer distances. Because the larger engine doesn't have to work so hard to perform, it is also easier to drive more economically. In daily operation the 1.2 litre engine has about the same fuel economy as the smaller one. On the other hand: the 1.0 litre engine is already so refined, that the 1.2 is almost obsolete. The 1.0 litre engine will also be available with the ability to run on "liquefied petrolium gas", or LPG for short. This isn't a conversion kit to be installed later, the gas tank is built-in at the Kia factory. The petrol tank is reduced to 10 litres, so the room required for the gas tank does not go on the expense of the cabin space. The display that shows how much gas remains is integrated perfectly with the other dials, so the driver isn't stuck with a separate box on the dash as is the case with an after market solution. In city traffic only one difference is noticeable between driving on LPG or petrol. While shifting gears a small "cough" sounds from the engine when the throttle hasn't been fully released during a gear change. According to the brochure the Picanto LPG is more powerful than the petrol version. However, at speeds above 50 mph the gas version performs significantly less. Full throttle at 60 mph has no effect whatsoever. The solution is to simply shift down, after which this extra cheap version performs adequately as well. With a superhero it is all about its character. Damaged road surfaces can easily bring the Picanto out of course. The car is also sensitive to sidewinds. Handling is excellent for a little car. The steering is very light, but luckily the driver still feels some resistance from the front tyres while cornering. In the same way, the suspension is firm making the car feel solid, while comfort on bad roads is just fine. This Korean hero will perform its magic all over the world. It is therefore altered to fit to the taste of each region. For Europe this is done very well, so this new star offers everything to please a large audience. 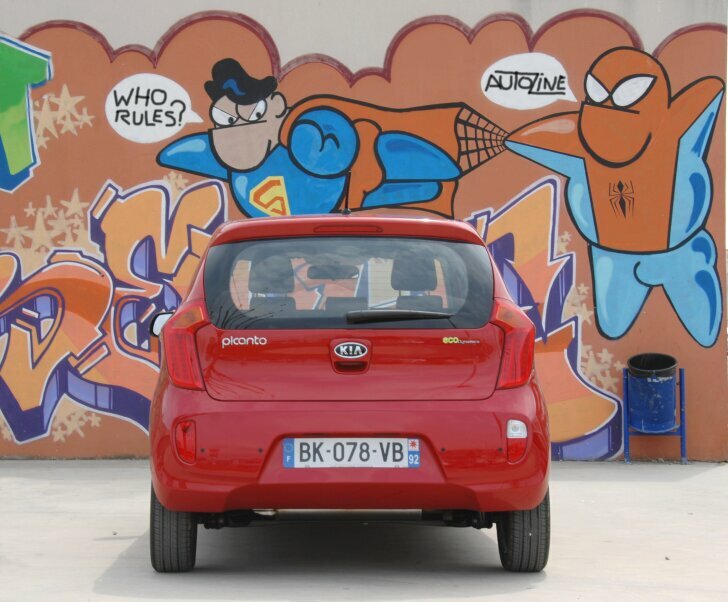 The world has a new superhero: the Kia Picanto want to take you from A to B as comfortably and economically as possible. But does this brave little Korean succeed in doing so? The first part of the mission is to be economical. 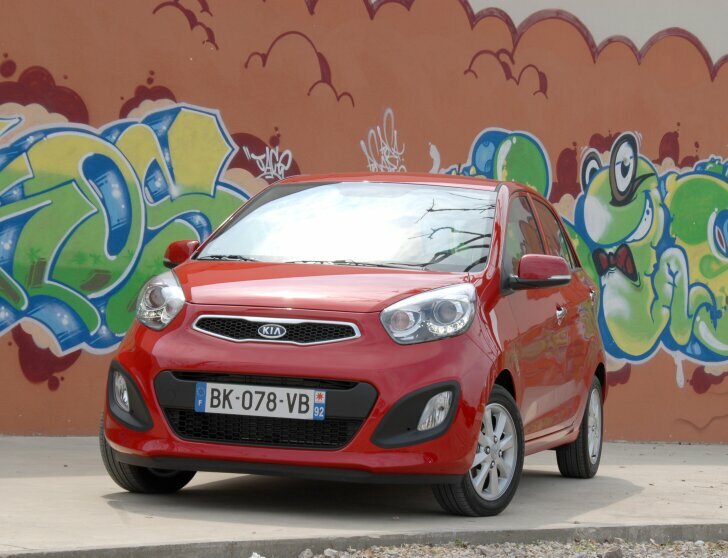 Compared to other small cars the Picanto has a fair price tag. 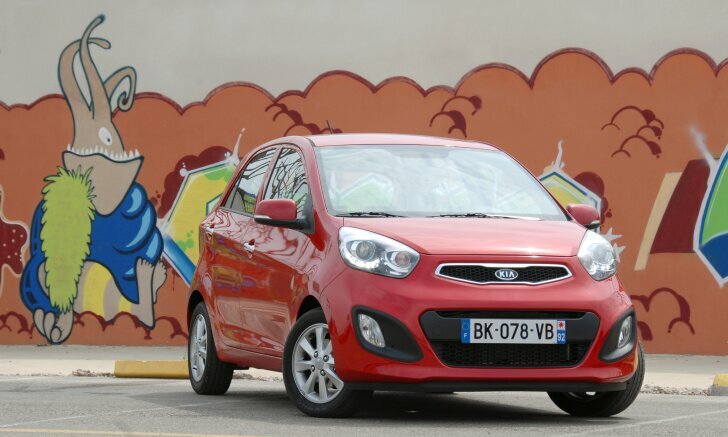 The new Picanto isn't as cheap as its predecessors, but then again this second generation has a lot more to offer. During this test drive the Picanto wasn't as frugal as Kia promises, making it more expensive to run than advertised. The new Picanto really shines when it comes to comfort. Even compared to other compact cars, the Picanto offers excellent cabin space and is exceptionally quiet. 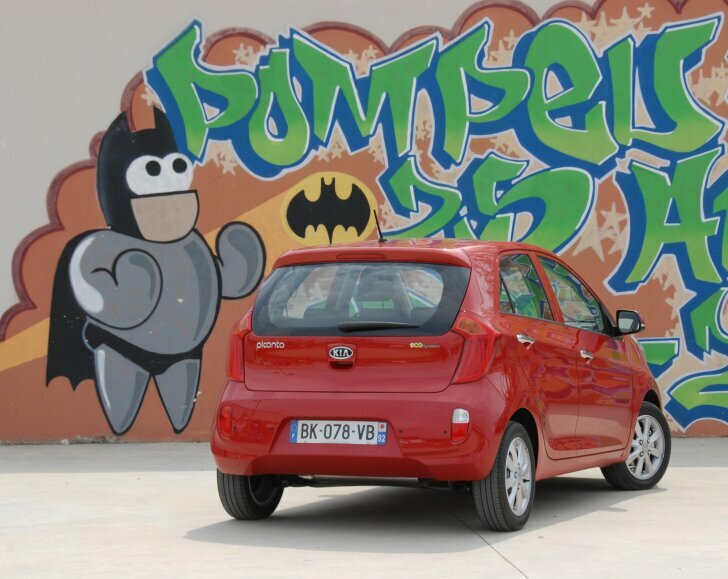 When it comes to dynamics the Picanto is a true hero: the car brakes, shifts and performs very well. The English language has a word just for such an exceptional little car: supermini.